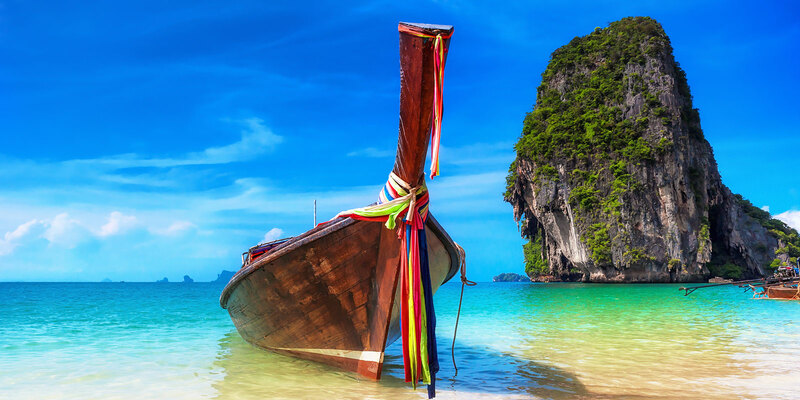 Thailand offers such a profusion of sandy beaches, sheltered bays, quiet coves and idyllic islands, that the choices for a holiday in the sun are near limitless. Over the last 30 years, Koh Samui has risen to become one of South East Asia’s most vibrant and welcoming tourist destinations. 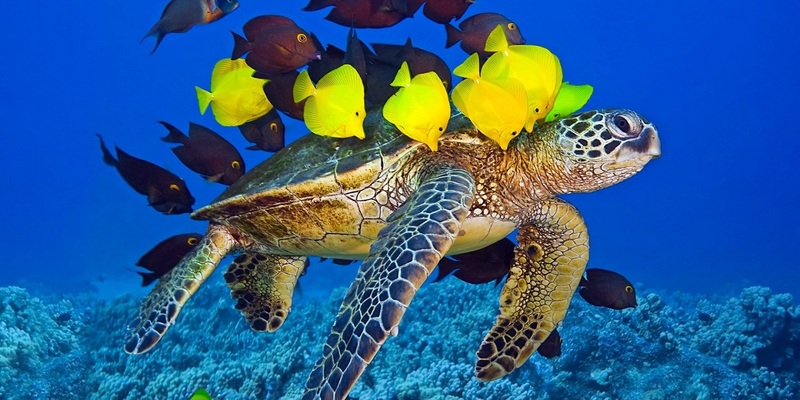 Beauty and biodiversity are to be found in abundance on the island and in the surrounding seas. Samui is circled by white sandy beaches, with crystal blue waters, lush green vegetation, and warm and friendly people. Haan and Chinese nomads started to arrive on the island back in the 6th century, passing through from Southern China towards what is now Malaysia. With Samui’s fertile soil and all the sheltered bays, it is not surprising that small communities formed all around the coast. The island today is in stark contrast to those humble beginnings. A recently refurbished international and domestic air terminal now welcomes the arrival of hundreds of sun-seekers almost hourly. And, as the range of technologies, facilities and services on the island continues to improve and diversify, Koh Samui continues to grow in both status and popularity. Koh Samui most definitely takes advantage of its surroundings, with tour companies ferrying adventure-seekers in their droves to the nearby Ang Thong Marine National Park for a day of scenery, kayaking and snorkelling. Learning to dive is also a popular option. But there are dozens of activities for old and young alike, ranging from football golf, elephant trekking, safari tours, temple and monument tours, off-road quad biking, fishing trips, jungle zip lines, and many, many more.Additionally there is also an 18-hole tournament golf course, if your pleasure lies in this direction. Chaweng and Lamai have the accolades for Samui’s liveliest nightlife locations, and you’ll find yourself spoiled for choice when it comes to live bands, karaoke clubs, Irish bars, world famous DJ’s, beach parties, go-go bars or super-clubs. 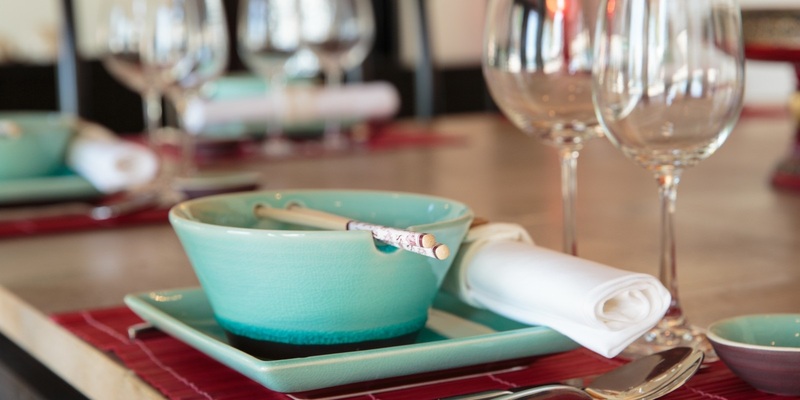 With the island catering increasing more for up-market visitors, it’s only natural that the number of world-class restaurants has increased correspondingly. You’ll find a diverse selection of fine-dining restaurants on Samui, particularly in those many Chaweng resorts which have signature dining attached, and with Bophut’s Fisherman’s Village boasting a wide variety of cuisine all in one small area. For certified divers, there are daily trips to the top sites in Thailand and dive operators can usually fill your request for a special site. Dive shops have access to the most boats on Samui so you can choose which site you want to go, and on what day. Samui is swiftly becoming one of the world’s premier locations for all things connected with health and well-being and many of our visitors come here specifically to cleanse, detox, rejuvenate and relax. The variety of beaches on Koh Samui is impressive. Popular choices include the long white beach of Chaweng, the rocky coast around Lamai, or the placid sands over on the west coast. 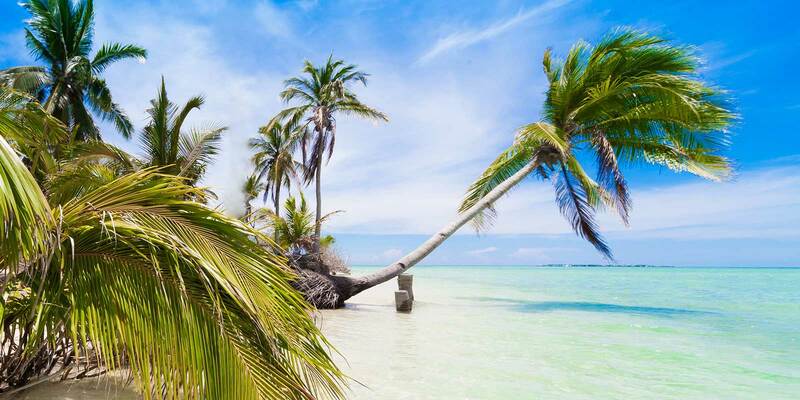 But if it’s utter solitude you’re after, then you need to get off the beaten track and discover for yourself the unspoiled and isolated beaches in the far south of the island. Phuket is Thailand’s largest island and nestles against the coast of the Indian Ocean, some 870 kilometers south of Bangkok. Phuket traditionally derives its wealth from tin and rubber, but is also blessed with teeming marine life and has enjoyed a rich and colorful history. Today, Phuket remains a major resort of international stature, possessing everything needed for a truly memorable holiday. First-class hotels located offer complimentary transport to their own beach clubs, and economy-class hotels are also available in the several towns around the island. Resort hotels with spectacular views always feature air-conditioned accommodation, as do many cabin and bungalow complexes on Phuket’s most popular beaches, with some of them still being made of the traditional ‘native-style’ bamboo and rattan. 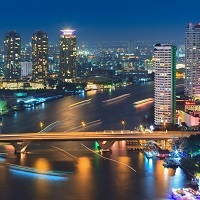 Buzzing, humid and exotic, Bangkok is a larger-than-life city where magnificent temples, historic markets, skyscrapers and rooftop bars create an intoxicating energy that’s hard to resist. 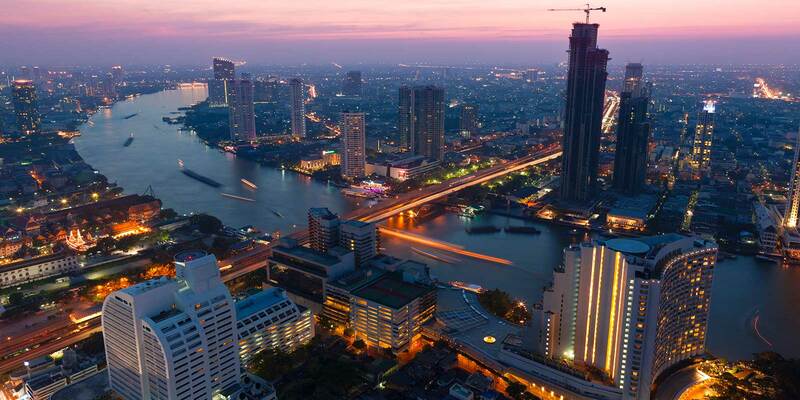 A tangled blend of the traditional and the modern, Bangkok’s every twist and turn has a surprise in store. Ramshackle buildings crouch next to golden holy shrines, which are in turn overlooked by towering modern hotels and offices. But traditional Thai life is never very far away. Saffron-robed monks weave among the morning rush hour to collect alms; communities dwell in stilt houses by the Chao Phraya River, and many still eking out a living using centuries-old skills. The weekend market at Chatuchak remains an essential Bangkok experience. Locals, tourists and expats alike flock here on the weekend to bargain for household goods, souvenirs, clothes and original Thai art before grabbing a bite to eat – those visitors who head straight for Thailand’s beaches, or to the countryside of the north, miss out on experiencing one of the most exciting and contrasting capitals in the world. 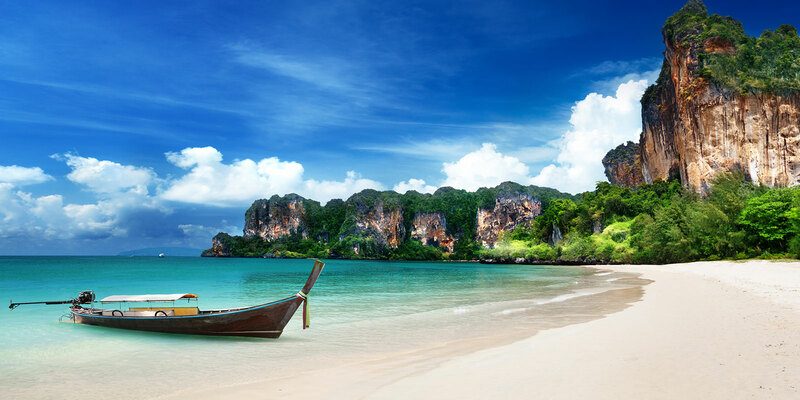 Krabi, the main town of Krabi Province, lies at the heart of one of Southeast Asia’s most spectacular regions, which is renowned for its craggy limestone cliffs, sweeping sandy beaches and shimmering crystal waters. Krabi Town has long been a jumping-off point for the region’s islands, national parks and mainland beaches, but now it’s also attracting visitors as a destination in its own right. There’s a huge choice of day trips, including excursions, paddling around the limestone scenery in a sea kayak, or speedboat rides out to the islands. Add in some excellent restaurants and its relaxed ambience, and Krabi is a uniquely-different Thai getaway. In recent years the luxurious out of town resorts have attracted a host of visiting celebrities and A-listers. The best beaches are a boat ride away from the town itself. 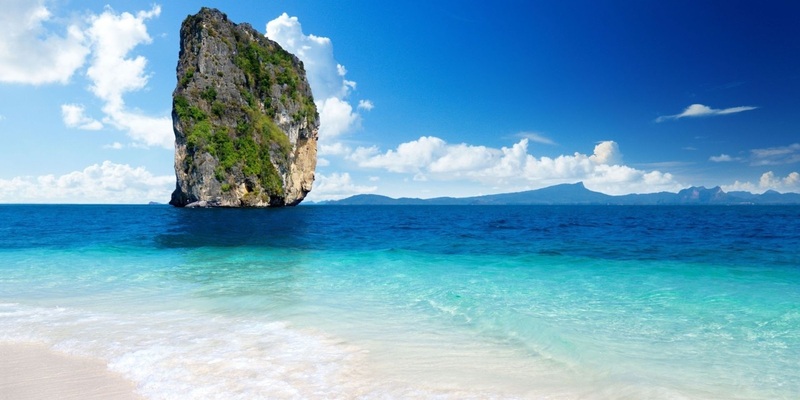 But the entire Krabi Province is festooned with white sand beaches and there’s plenty of choice for those looking to unfurl their towel in a quiet spot. Facilities, however, tend to be quite low key, although a wide variety of water activities are on offer from local operators. 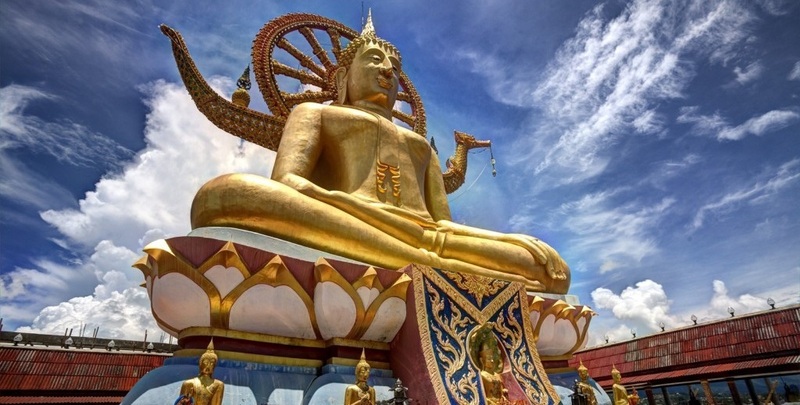 In Krabi Town the main attraction is the intriguing temple of Wat Kaew, a tranquil place to while-away a few hours. For a bird’s-eye view of town, scramble up one of the brace of craggy pinnacles that overlook Krabi – the vista unfurls below with the milky blue Andaman Sea shimmering off into the distance. 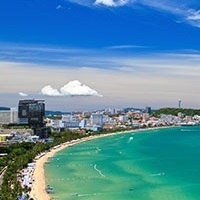 Pattaya is one of South East Asia’s most famous beach resorts, a no-holds-barred party hub with something for everyone, from young men in search of a wild night out, through to families with children. The resort boasts its own sweeping beach, a variety of watersports, good scuba diving and a myriad of day-trip opportunities. One of the slickest and most developed resorts in the country – and also one of the oldest – Pattaya is long accustomed to supplying with the diverse needs of every sort of tourist. 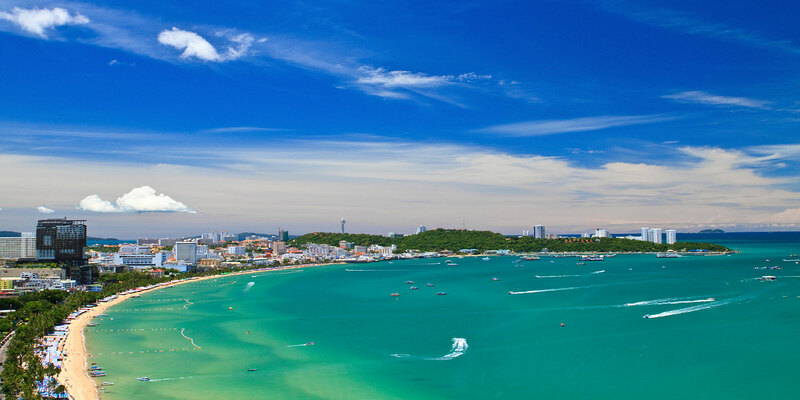 The main beach curves around the Bay of Pattaya. Along the length of its sandy sweep are a variety of things to see and do, with souvenir stalls, shops, discos, beach eateries, food stands, bars and a choice of watersports. Jomtien just to the south is a relatively quieter option, while Naklua to the north is the most family-oriented beach. If you want to do more than just swim there are a number of scuba diving options, including PADI diving courses for beginners. More-experienced divers can travel out to enjoy wreck dives. A trio of islands, Ko Larn, Ko Krok and Ko Sak, tempt visitors offshore. The options are to either take an organised day trip with an operator, or to go it alone and arrange a transfer on one of the boats which regularly service the islands from Pattaya. Once on the islands there is little to do bar taking it easy and enjoying a rest away from the bustling streets of Pattaya. The snorkelling is good, too, for those wanting to do more than merely swim. Boasting some of Thailand’s most dramatic beaches and yet with a still-unspoiled interior, Koh Pha-Ngan is an ideal destination for those looking to party, relax, or engage in wellness programs or activities such as yoga or meditation. 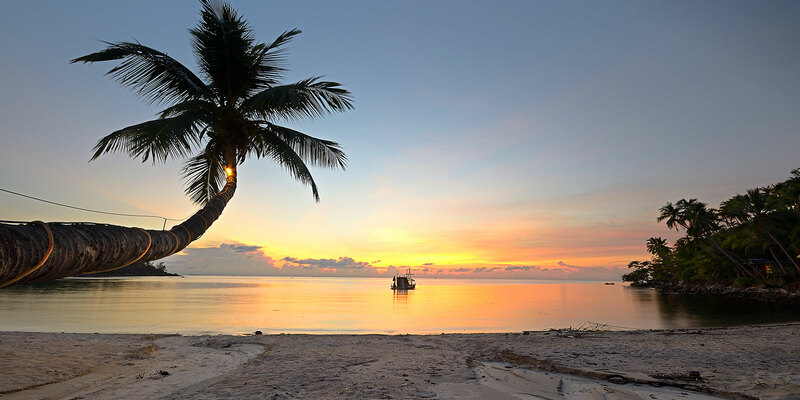 Koh Pha-Ngan is very much the ‘little sister’ of Samui and far less-developed and commercialised, particularly if you head away from the area around where the Full Moon parties are held. In fact most of the island’s beaches are still only moderately developed, providing visitors with the contrasting options of either a wild beach party, or a relaxing and quiet family holiday! 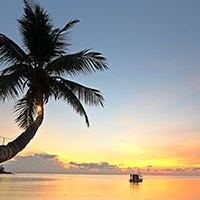 While Koh Pha-Ngan still caters for those backpackers who wish to escape the more-commercially-developed Koh Samui, there are now no fewer than eight 5-star resorts (and many more 4-star ones) which cater to all visitors, from honeymooners to families with children. That said, there are still many resorts which embody the hippie spirit of Koh Pha-Ngan’s ‘founders’ and draw numerous New Age backpackers looking to study meditation or yoga, or engage in other holistic or health-oriented activities. There is so much more to Koh Samui that just its world-class beaches. 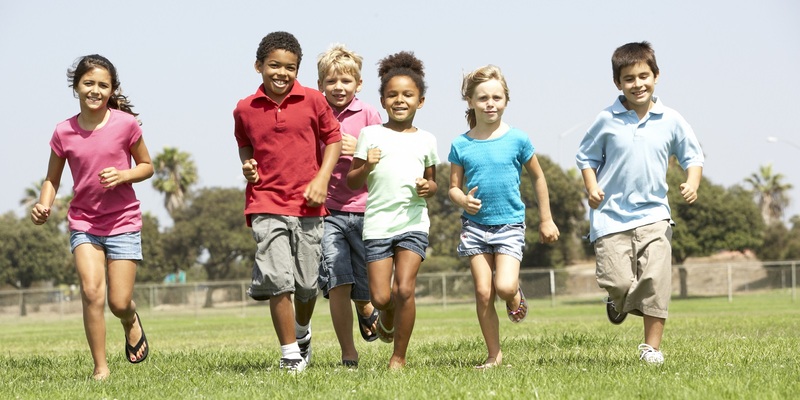 In fact, one of the biggest lures to this lovely island is the seemingly infinite variety of activities to keep you and your family fully entertained throughout your stay. Whether you’re looking to cross the oceans, roam the island, explore beneath the waves, relax and rejuvenate, or to try something completely new - you won’t be disappointed.